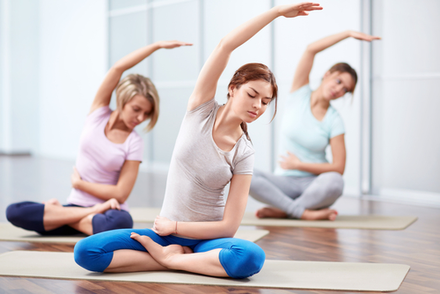 Yoga Chicks brings you a personal and unique yoga experience. The classes at Yoga Chicks are conducted in small, intimate studios which allow for a smaller student to instructor ratio and a safe-haven for any level yogi; beginner to advanced. An eclectic mix of yoga disciplines has been incorporated within the yoga sequencing so the student can connect to their inner wholeness on a deeper level. Yoga Chicks Studio owner Danna Garland and her team of instructors support their clients’ fitness goals with Yoga, Pilates, and Zumba classes. The team leads classes in a nurturing, nonjudgmental environment where women of all ages and skill levels can focus on learning poses or burning calories without feeling self-conscious. Teachers also support students physically as well as emotionally, providing hands-on support to keep pupils motivated when honing their balance, flexibility, and Zumba faces.